"Let the #NYTPhotoHunt begin. 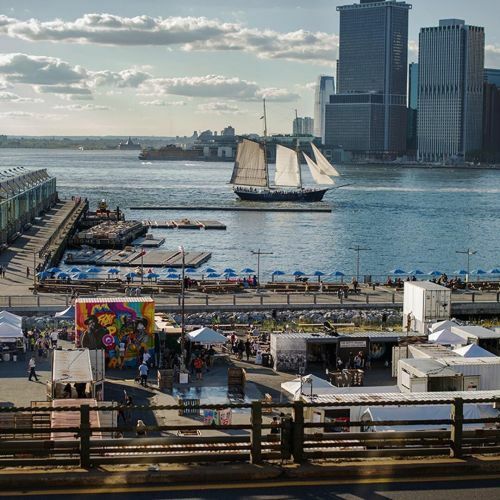 The @nytimes Instagram team is at @photovillenyc in @brooklynbridgepark. If you're in the area, join us for a scavenger hunt. Your goal: Take photos that answer our clues and post them on Instagram with the hashtag #NYTPhotoHunt. Head to the beer garden at @photovillenyc to meet up with a group of photographers, or head out on your own. To find the first clue, head over to @nytphotohunt. There is no time limit! You'll find us under the red balloons. #🎈 Photo: @hlswift" By nytimes on Instagram.